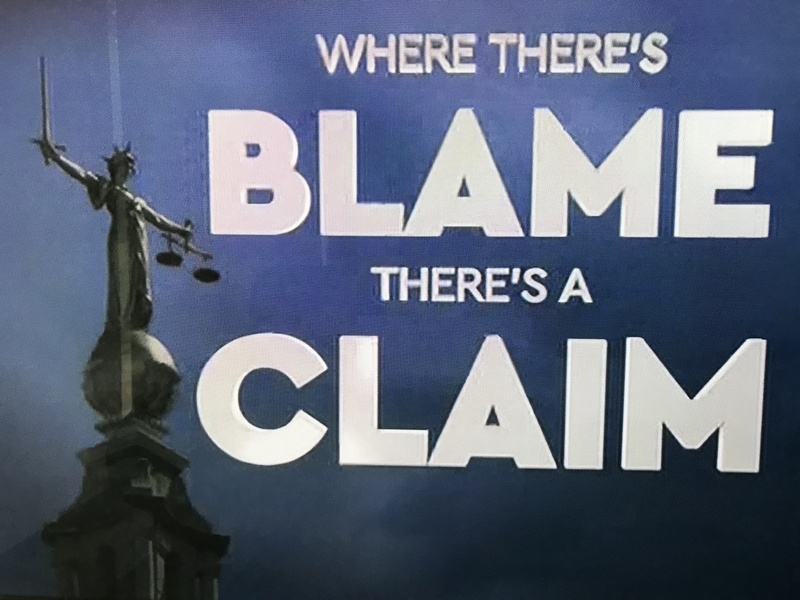 I was pleased to be given the opportunity to speak on Channel 5 last week regarding the case of my client Ivan Martin in the documentary series “Where there’s blame, there’s a claim”. I think it was understandable that the programme concentrated on the level of damages awarded to Ivan, and the other victims of serious personal injury claims (including the horrific Alton Towers roller coaster crash) who were featured in the episode, as obviously there is widespread interest in the amount of money people can recover in such cases, but I would like to take this opportunity to stress that pounds & pence are far from being the be- all and end- all in these claims, particularly in actions against the police which I handle, as opposed to negligently caused accidents. The victims of police misconduct have very often suffered not as a result of an unintended ‘mistake’ (no matter how catastrophic) but rather quite deliberate conduct – such as the misuse of police powers of arrest or a deliberate assault (in Ivan’s case, being shot in the back with a taser gun in his own home) and have then seen this wrong against them compounded by the officers involved – often as a team or institutionally – trying to deny my client justice by telling quite deliberate lies about their conduct, lies which if believed might result in a criminal conviction and even incarceration – such as the threat Ivan faced when, after being shot by the Officers who came to his home, he was then prosecuted for allegedly assaulting them! The victims of car crashes or other accidents will first go to hospital to receive treatment, before commencing their fight for compensation, which may or may not be straight forward. My clients will frequently first – after their visit to hospital for injuries inflicted upon them by the Police – have to face prosecution in the Magistrates or even Crown Court on false charges of resisting arrest, obstructing or even assaulting a constable. Only after they have dealt with months of stress and worry, and have cleared their names in the Court, can they bring their own case against the Police in the civil courts. My clients also often have to go through a lengthy and demoralising process of pursuing a complaint with the relevant Police Force’s professional standards department, resulting most commonly in what feels to many of them distinctly like a ‘whitewash’ of a report – exonerating the investigating officer’s colleagues, and turning blame back onto my client – only to see the same Police Force admit liability/ speedily settle the claim once civil proceedings are commenced, begging the question of the honesty and integrity of the original complaint investigation. Very rare indeed is the apology any Force will offer for the misconduct of its Officers no matter how heinous. All of this is why I want to stress that whilst compensation in terms of the monetary award of damages is important, the sense of justice being done is always my client’s priority. I think this is in danger of being lost sometimes in media coverage of civil claims which focus only on the amount of “compo”. Indeed, the very title of the Channel 5 series runs the risk of belittling the stories of the deserving people portrayed within it. Yes, we live in a capitalist society where “money makes the world go round” – this is true about everything – jobs, politics, science and medicine – but it does not mean that we only work for money. There is nothing indecent or opportunistic in pursuing a compensation claim after you have been injured or wronged any more than there is in expecting to be paid for the job you do, but in both cases it is about far more than that. We work because we can derive great pride and personal satisfaction from our achievements, irrespective of how much we are paid for them; likewise my clients pursue claims not with pound signs in their eyes, to “grab the money” but for those incalculable but absolutely important things which would otherwise be denied to them – vindication in the eyes of society; self- pride and self- worth; being able to hold to account those invested with special powers over the rest of us, which is absolutely crucial in any liberal democracy; the sense of a wrong being righted and justice being done by the Courts, without which a civil society cannot function, and would run the risk of breaking down into anarchy; to get a fair and proper hearing of their legitimate grievances; to be believed. This is why I have clients who are prepared to risk exposure to substantial costs in order to pursue a claim where the damages might be only a fraction of that amount – because they are not looking at this ‘claim’ in economic terms but as a matter of principle; they want the feeling of justice won, not money. If I was in a job and I done something wrong, there would be consequences for me, so why should they get away with it? I know the rules, they know the regulations, we both should be singing off the same hymn sheet. They do something wrong, consequences for them, end of. Is Police Taser Policy Working? The relentless rise in the police use of Taser “stun guns” is confirmed by the latest Home Office figures. The statistics show that police in England and Wales drew their Tasers more than 10,300 times last year, an increase of 55% since 2010. These statistics are, to a large extent, understandable, as more and more front-line officers are equipped with the devices. This trend seems set to continue as, if it were up to the Police Federation, all front-line police officers would have the opportunity to carry Tasers (confirmed in a unanimous vote on 09 February 2015). So, according to the police, it’s all good. Carry on. But really, should we be concerned? Notwithstanding police claims that Tasers are low-level and safe, police policy seems to reflect the reality that the use of Taser is in fact a relatively high level use of force (IPCC review of Taser complaints and incidents 2004-2013) and that arming all officers with Tasers is effecting “compliance by pain” rather than “policing by consent” (Amnesty International press release 24 November 2008). But is this just hollow propaganda? Are officers fully trained? Are procedures followed? Are police officers held to account? Consider the ongoing case of my client Mr S (name withheld for privacy reasons). On 21 June 2013, Mr S went to his son’s ex-girlfriend’s flat to mediate in a disagreement over access to their baby son. Mr S arrived at the same time as two police officers. His son’s ex-girlfriend’s mother allowed the officers entry but blocked Mr S and then sought to slam the door in his face. Mr S accepts that he held his ground and may have gripped the door frame. At this, one officer pushed Mr S away and said, “go away”. Mr S accused the officer of assault and asked for his badge number. The officer replied, “I am the police” and shut the door. Mr S felt that the officer’s conduct was unacceptable and thought about lodging a complaint. He approached the officers’ vehicle to look inside for details of the officer’s identity. He accepts that he may have accidentally caught the wing mirror of the car with his hip but he did not deliberately kick or punch it. Mr S returned home. A short while later, the same officers arrived. One of them advised Mr S that he was under arrest for public disorder. Mr S asked what he had done wrong. The policeman sought to handcuff Mr S who accepts that he resisted by stiffening and raising his arms in the air. There was a minor struggle for no more than 10 or 15 seconds. Suddenly, Mr S heard a pop, which he described as “like a firecracker” going off. He felt intense but short-lived pain. The right side of his body went into an involuntary spasm and convulsion. His body “felt like jelly”. He momentarily lost his balance but was caught by the officers who grabbed Mr S’s arms and handcuffed him to the rear. Mr S was put in the back of the officers’ patrol car. The handcuffs had been applied extremely tightly and he asked one of the officers if the handcuffs could be loosened. They refused. The police drove him to the local Police Station where the handcuffs were finally removed. At this stage, Mr S felt terrible. His chest hurt from where the barbs of the Taser had pierced his skin. The ends of his fingers were still trembling. He felt generally unwell. His wrists were sore and painful. Despite his own situation, as Mr S is a full-time carer for his mother, he thought only of her wellbeing. His priority was to get out of the police station as quickly as possible. He spoke to a duty solicitor before his police interview. He was advised that he had been arrested for both a public order offence and resisting arrest. The police told Mr S’s solicitor that if his client accepted a fixed penalty notice for the public order offence, no further action would be taken in relation to the allegation of resisting arrest. The solicitor said that accepting the notice and payment of the fine would not be an admission of guilt. Conscious of the proposed deal, when interviewed, he deliberately underplayed the officer’s unlawful conduct and excessive use of force. A short time later, Mr S was brought out of his cell and issued with a fixed penalty notice which he subsequently accepted and paid. Mr S was angry about the incident in which, he felt, the police deliberately injured and humiliated him. He lodged a formal complaint. In response, the police offered to resolve his complaints by local resolution. Mr S then researched instructing a solicitor to help. As I specialise in civil actions against the police he asked me to handle his complaint and bring a compensation claim for both wrongful arrest and assault. After a lengthy investigation process involving no less than two appeals to the Independent Police Complaints Commission (“IPCC”), his local police force have finally admitted that the use of Taser and handcuffs was inappropriate. This only came about after the IPCC’s extremely critical comments of both PC B (the officer who Tasered Mr S) and his police force. Police officers are entitled to use force to make an arrest provided that it is reasonable and proportionate to the threats presented. But, the caseworker continued, “Mr S was not waving a weapon and he had not assaulted anyone. He was in his own house and not a danger to the public. He had not been violent, or threatened violence, towards the officers”. Quite clearly, just putting your hands on somebody is not the same as inserting barbs into their skin and discharging a 50,000 voltage electrical current through their body, causing extreme pain and loss of muscle control. The officer’s apparent naiveté about the physical and mental impact of being Tasered calls into question his training and fitness to carry a weapon. Sufficient weight is given in training to the potentially harmful physical and psychological effects of discharging a Taser, and the benefits of using communication to defuse a difficult situation. In addition, the caseworker criticised the police force’s handling of Mr S’s complaint. The caseworker said that, “it should never have been treated as a matter suitable for local resolution given that the complaint, if proven, could amount to gross misconduct. As such, it ought to have been subject to a full investigation from the start, with the IPCC, not the force, being the relevant appeal body. Moreover, the matter should have been referred to the IPCC at the outset in line with the requirement to refer all cases where Taser has been used and a complaint is made”. Mr S was traumatised by not only his wrongful arrest but also the excessive and disproportionate use of force against him. He is currently undergoing counselling and in due course I will present full details of his physical and mental injuries and hopefully negotiate a settlement. In view of inappropriate Taser use such as this incident, it is right that public concern about the increasingly routine deployment of police Taser should remain high. I accept that there are legitimate reasons for using Taser weapons in policing. Used correctly, it can be a valuable tool in assisting police officers to manage difficult and challenging situations. But it is essential that officers are taught and understand that the device should be a last resort and not as, in Mr S’s case, a default choice where other tactical options, including communication could be effective. And where police officers fall short, their forces should to act quickly to address officer failures and accept responsibility. Only then will the public have confidence in the police’s policy on the use of Tasers. Contact me for help with your police Taser assault claim using the online form below or via my firm’s website. Does an Unjustified Taser Assault Point to a Wider Trend? Iain Gould solicitor, asks if Taser assaults point to a wider trend. I have just settled a disturbing Taser assault case for Cornelius Thomas (details used with permission) against West Midlands Police. I’m concerned about Mr Thomas’ personal experience, and also what this case says about police use of Tasers. Cornelius, who was aged 35 at the time of the incident, has a psychotic illness which has been diagnosed as bipolar affective disorder. His condition first appeared in 1999 and he has received help from mental health services from 2001 onwards due to it repeatedly recurring. On Friday 10 June 2011, he sadly suffered a deterioration in his mental state triggered by a combination of life stressors and a failure to take his medication. After a mid-afternoon visit by his mental health doctor, Cornelius’ mental health team decided that he should be sectioned under the Mental Health Act. The team requested police assistance and an ambulance as this involved taking Cornelius to a psychiatric hospital unit and depriving him of his liberty. Four Officers from West Midlands Police were assigned and, that evening, met the mental health team outside Cornelius’ home in Birmingham. Cornelius, who was unaware of the decision to section him, had been out of the house with his 8-year-old daughter. At about 8pm he arrived home in his car with his daughter safely in the back seat. He saw two police cars and an ambulance near his house. What happened next is a matter of dispute but Cornelius maintains that he was manhandled and then Tasered multiple times despite being non-aggressive and simply trying to escape from the officers into the safety of his own home. On each occasion he was Tasered, Cornelius said he felt a surge of electricity, intense pain and fear. Cornelius told me that each Taser assault resulted in him falling to the ground suffering multiple minor soft tissue injuries, but he managed to get up and move a little closer to his front door. On the final occasion that Mr Thomas was Tasered, he says that both his hands were in full view and that he was no threat. At this point Cornelius had his back to the police, his left hand on the door handle, and his right hand on the keys in the lock. Despite this, he was electrocuted again. After the fourth Taser assault brought him to the ground Cornelius was handcuffed and transported to hospital where he was de-arrested and detained under Section 2 of the Mental Health Act 1983. Following a medical examination, a Taser barb that had become embedded in the skin of his chest was removed. 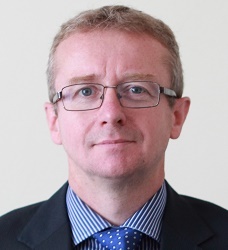 Cornelius initially instructed non-specialist local solicitors who formally submitted a claim saying that West Midlands Police were negligent in their decision to deploy Tasers. Following investigation, liability was denied, the Defendant maintaining that use of the Taser was “lawful, justified and proportionate in the circumstances”. In response, his then solicitors advised Cornelius that the prospects of success were not good enough to “justify …proceeding further” and promptly closed their file. Undeterred, Cornelius sought me out following research on the internet as a specialist in actions against the police and in particular the inappropriate use of Tasers. In my opinion the claim had been poorly framed and investigated. Cornelius gave a very credible account of what had happened. On his version of events it appeared to me that the officers had acted with unnecessary aggression and coercion rather than care and compassion. I thought Cornelius had good prospects notwithstanding what his previous lawyers described as “the glaring inconsistencies between the account given by Mr Thomas and …. the Police Officers involved at the time of the incident when he was sectioned under the Mental Health Act”. My confidence in Cornelius and his Taser assault claim has now been proven. He has agreed to an out-of-court settlement of substantial damages from West Midlands Police following the issue of court proceedings. You can read more about Cornelius’ experience in The Mirror. But what of the wider picture? I have recently commented on statistics that suggest that black people are three times more likely than white people to be involved in Taser incidents. 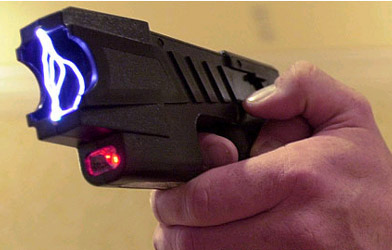 The research shows the electric stun gun was drawn, aimed or fired 38,135 times in England and Wales over five years. In more than 12% of cases Tasers were used against black people, who make up about 4% of the population. I have long maintained that there is a growing trend for the unnecessary and unreasonable use of Tasers (see here, for example). This latest research proves a disproportionate use against a certain ethnic group. Of that community, can it also be said that there is yet further disproportionate and excessive use of Tasers against those with mental health issues? Matilda MacAttram of the campaign group Black Mental Health UK, maintains that there is emerging evidence that police are using Tasers against people with mental health problems, particularly those from African-Caribbean communities. She is quoted as telling the BBC, “There’s an increasing amount of data, both anecdotal and also concrete, which show this supposedly “non-lethal” weapon is being used against people who are in a very vulnerable state”. Cornelius Thomas would, no doubt, agree. Contact me for expert advice if you have suffered a Taser assault through no fault of your own. Is Confirmation Bias Responsible for Police Taser Assaults on Black People? 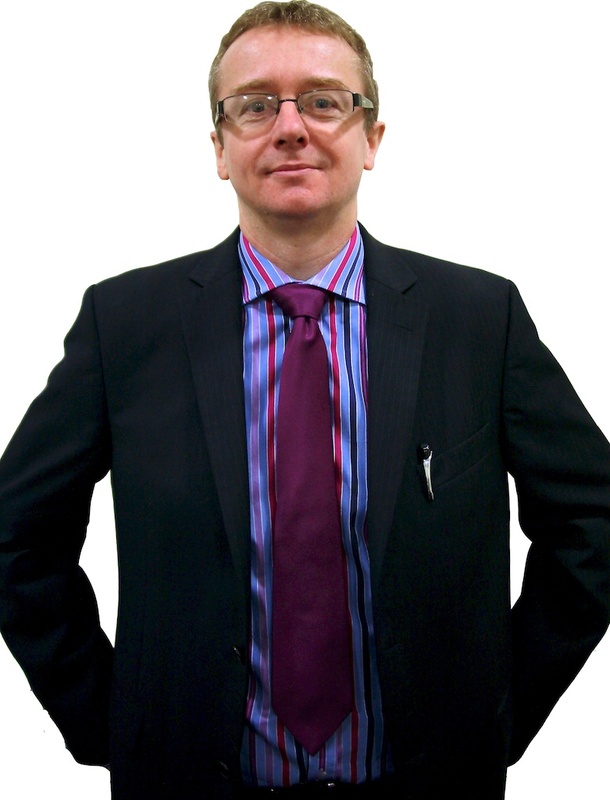 Iain Gould, solicitor, discusses reasons for police Taser assaults. According to statistics just released by the Home Office to the BBC, black people are three times more likely than white people to be involved in Taser incidents. I have long maintained that there is a growing trend for the unnecessary and unreasonable use of Tasers (see here, for example). Now, we have concrete evidence of their disproportionate use against a certain ethnic group. One theory is that the police, like the rest of us, are subject to “confirmation bias” which is defined in Science Daily as the “tendency to search for or interpret information in a way that confirms one’s preconceptions”. If police officers have the perception that black people are more likely to be involved in criminal behaviour, that they will attempt to evade capture, or forcibly resist arrest, they will consciously or unconsciously seek out proof. Using Tasers during an arrest is just one way of justifying their (unfounded) assumptions. Stephon McCalla’s back after a police Taser assault. An example of police confirmation bias against black people is the case of my client Stephon McCalla (details used with his permission and based on his version of events). Stephon is a young black man who had never been in trouble with the police. He was walking to his local gym on a sunny day in June 2010 when, unbeknown to him, local police were actively looking for a black suspect who had raped a student at knifepoint. Mr McCalla was stopped by an officer with a dog who told him that they were looking for someone with his profile. Stephon gave his name and address and told him he was heading to the gym. The Officer called for backup. Stephon understandably felt uneasy. 10-15 minutes after he had first been stopped, several police vehicles arrived and positioned themselves so as to box Stephon and the dog handler in. Seven white officers alighted. Stephon was extremely alarmed by developments. 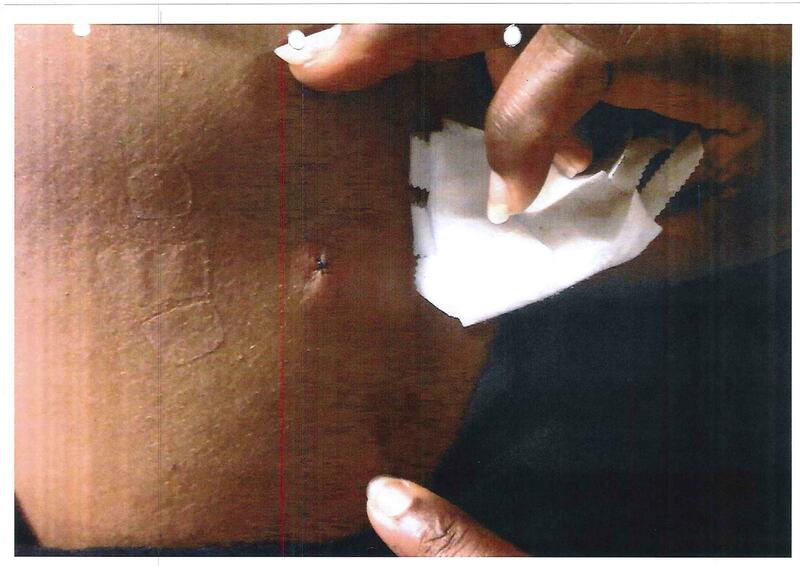 Close up of Taser barb embedded in Stephon McCalla’s back after police assault. Four of the officers approached. At this stage, Stephon had his thumbs in his back pockets with his arms hanging down. One officer told Stephon to “Give me your hands”. Stephon did so and as he did, the officer took hold of his forearm and suddenly said, “He’s going to attack”. The officer grabbed Stephon’s wrist and tried to force his arm behind his back and handcuff him. Stephon could not believe what was happening and having done nothing wrong and having been given no explanation, resisted. In response, other officers applied a succession of knee strikes and blows to his body and then five or six punches to his face. Eventually, Stephon felt his leg about to give way and as he began to fall to the ground, he was Tasered to the back. His body shuddered and he fell heavily onto his right shoulder. Despite this Stephon was arrested and taken to a local police station. 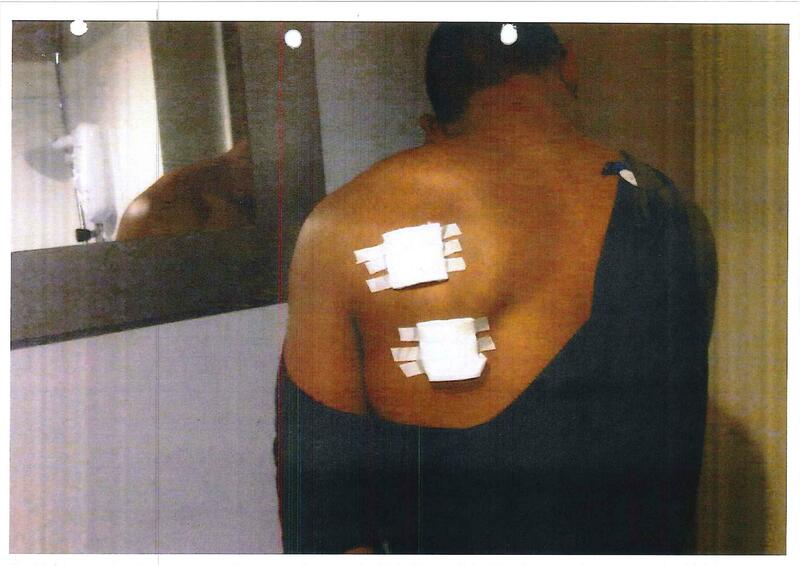 Upon arrival, he still had two of the Taser barbs embedded in his back. A police nurse and Doctor tried to remove the Taser barb from his body but concluded that the barb was embedded so deeply that Stephon would have to attend hospital. After a short while, Stephon was taken to hospital where with some difficulty, the barb was extracted and stitches applied. 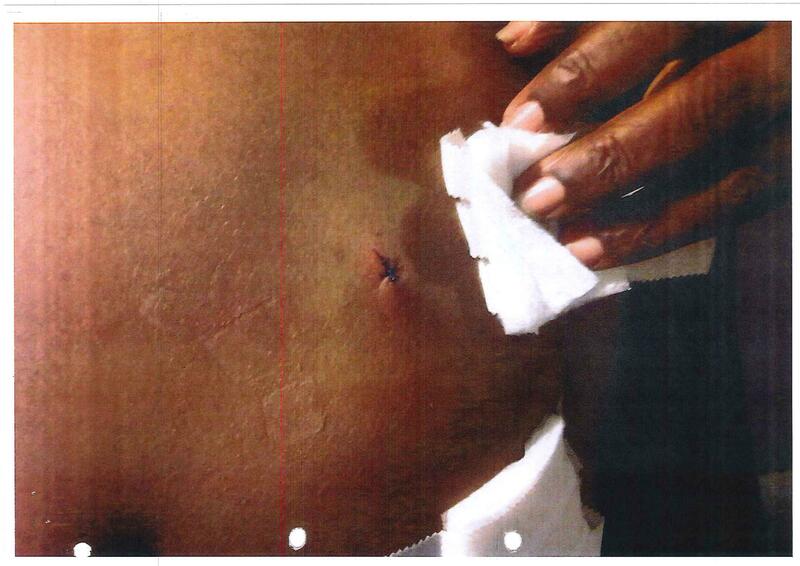 Taser barbs were embedded in Stephon McCalla’s back. Mr McCalla was taken back to the police station where he was eventually interviewed. The police told him that he had been stopped because he bore a strong resemblance to an armed man wanted for a serious offence but that because of how he had reacted, he had been arrested for a public order offence. Stephon was eventually released on police bail having spent over 14 hours in custody. Several weeks later, he was advised that no further action was to be taken against him. With my help, Stephon brought a civil action against the police. Liability was robustly denied. Notwithstanding this denial, Stephon’s claim settled for substantial damages plus costs together with an apology following the issue of court proceedings. It appears that the police’s confirmation bias that black men like Stephon are dangerous individuals led to this brutal and unjustified Taser assault. Stephon’s only “crimes” were being black and in the wrong place at the wrong time. His understandable and perfectly reasonable resistance to an unlawful arrest led to the disproportionate use of force, and especially the unnecessary discharge of a Taser when he had already been subdued and was falling to the ground. In light of today’s BBC report and Mr McCalla’s case it seems to me that the police still have a long way to go to address what Sir William McPherson described as an “institutional racist” organisation in his 1999 report about the Stephen Lawrence inquiry. They need to address confirmation bias as well. Contact me for help with your claim against the police using the online form below or via my firm’s website. Should the police use tasers on children? This is a guest post by my colleague John Hagan. Like me, John is a solicitor who specialises in civil actions against the police. Reflecting on my participation in a debate on the use of police tasers against children on the Jonathan Vernon Smith show (BBC Radio Three Counties, listen here) earlier this week, I am reminded of the famous words of Franklin Roosevelt – is it not the case that so often “the only thing we have to fear, is fear itself”? Mr Vernon Smith was advocating the increased use of tasers by the police (items which he described as “wonderfully useful tools” but which I might describe as “guns for electrocuting people”) as necessary to stem what he appears to believe is a rising tide of violent crime, lawless behaviour and societal breakdown particularly in urban areas blighted by poverty and people who, in his words, “have not gone to school”. He seemed to me to be painting a picture of inner- city Luton as something akin to the apocalytpic gang land of New York in the movie “Escape from New York”, and seemed to have a particular concern that the current generation of children, particularly teenagers, was more violent and out of control than 20-30 years ago. He spoke of his belief that there were ever more cases of “extreme violence where youngsters are involved.” This is in fact a common human misconception known as “paedophobia”, or fear of children, which can be found throughout the annals of recorded history. Perhaps because we know ourselves to be growing older we become fearful of the young who will supplant us; perhaps because we know nothing fundamentally bad happened to us in the past, but of course we do not know what the future holds, the present naturally seems more dangerous; perhaps because the news media thrives on the “excitement” of bad news rather than the general mundane civilities of life, it is very common for people to think they are living in a ‘worse’ time than their parents or grandparents did. Such sentiments are found being loudly expressed in every human generation. But that does not mean they are true. The latest UK official crime statistics show, as they have shown in a continuous trend for several years now, that crime generally is falling and that violent crime in particular in at its lowest level since 1981. The April 2014 Crime Survey of England and Wales, prepared by the Office for National Statistics, shows that in 2013 on a proportional level, 2 in every 100 adults were victims of violent crime, compared with 5 in every 100 in 1995. This directly contradicts the basis on which Vernon Smith and others want to roll out ‘armament’ of the police. Violent crime is not rising; they are afraid of phantoms. And such a fear is not, in my opinion, any kind of sound basis for fundamentally changing the nature of policing in this country by replacing an unarmed constabulary with one which is armed with firearms as a matter of course. I consider this to be the thin end of the wedge of militarisation of the police, leading inexorably towards the American model where every cop has a gun, and the population as a whole has 300 million guns, which is statistically almost one per person. Is that where we want to go ? Escalation – an ‘arms race’ between the cops and the robbers will ensue, and it is simply not necessary. We live in a more peaceful and gentle society than we did 20 years ago. And perhaps, I might have said to Mr Vernon Smith, there are other ways we should deal with the problems of the poverty and lack of education than shooting the children of the poor with taser guns. My firm has represented numerous adult individuals who have suffered at the hands of police missuse of tasers. Such situations of “trigger happy” cops, overreacting with use of a taser in situations where it is not justified (such as this case about shooting a man with a taser who has turned his back on them in his own home, or shooting a drunken man in the back, causing him to fall and knock his front teeth out) will increase as deployment of tasers proliferate and police officers carrying such weapons becomes the norm. So I certainly do not think we should be using tasers on children, save in the most extreme examples involving older teenagers and real threats to life and limb. The fact that the host of a BBC show can quote with apparent approval statistics showing the increased use of tasers against children as young as 11-14 is I think a warning sign that we must guard our civil liberties against this type of ‘mission creep’ lest we suddenly find ourselves living in a world where such firearms proliferate , and rather than a stern word, misbehaving children are regularly dealt with by electrocution. Indeed, Mr Vernon Smith who repeatedly accused me of “not living in the real world ” and being “irresponsible” and “very disrespectful” to the police, showed that his sympathy appeared to be with the person who pulled the trigger on the taser gun, rather than the person on the receiving end of it, on the basis that, to paraphrase slightly, there’s a lot of paperwork to fill in if you shoot people. Red tape, eh? An interesting perspective with which I can do nothing but disagree in the strongest possible terms. Mr Vernon Smith put it to me that if the police wanted tasers was that not a reason to give them tasers? Absolutely not. For all the fantastic and often very brave work that police officers do, let us not forget that giving the police unquestioningly what they ask for is living in a police state. Our society preserves its liberty and happiness by checks and balances. If the police ask for something, I think it is ok to say “No”. And to expect not to get shot down for it. I was interested to read in a recent article in The Sunday Times (behind paywall) about Taser assault by the police cases. It seems that the authorities are now going on a public relations offensive. By doing so, they may be deflecting attention from the real harm caused by these deadly weapons. And they are getting help from the government to do so. The charm offensive may be explained by the fact that public concern about these weapons is increasing and Taser assault by the police cases are more regularly reported in the news. This week the BBC reported how I won £24,000 compensation for my client Richard Hagan following a Taser assault by the police, and I have previously blogged about the risks of Taser use. But despite voicing my concerns and the increased news coverage, overall Taser use has increased dramatically from 3,128 in 2009 to 10,380 in 2013. Of this number, there were 1,733 actual Taser shootings. Chillingly, in 2011 a Taser was deployed more than 320 times against under-18s. Reports often concentrate on the initial impact of the Taser. In The Sunday Times article one victim, Sean Lawless, simply said “It hurt. A lot”. This is understandable, as the shocking (pun intended) visual image of someone being shot with a Taser quickly captures the imagination. But as the effect of a Taser assault by the police is to incapacitate, the injuries sustained after the initial Taser impact on falling are frequently more severe than if the subject had simply fallen over without being Tasered. This is because when a person falls, the natural instinct is to raise their hands so as to break the fall. But once Tasered, the victim ‘freezes’ and their muscles are temporarily paralysed, giving them no chance to protect themselves. In my experience as a solicitor who deals with claims against the police (read about me here) it is this secondary injury, caused when the victim falls, which causes more harm. Naturally, the police would prefer not to discuss these potentially devastating injuries and it seems to me that the government are helping the police to deflect attention from secondary injuries by the way they report on Taser assaults. The official Home Office report: ‘Police use of Taser statistics, England and Wales, 2009 to 2011’ categorises only seven different types of use: from the lowest state of the Taser simply being drawn; to the highest state of the weapon being fired with the electrical probes making contact and causing the incapacitating effect. Crucially, the official statistics fail to record the subsequent (secondary) injuries caused after the Taser is fired. As a result secondary injuries are rarely commented on or reported in the news to the same extent. This is a mistake. As Richard Hagan’s case (details provided with permission) shows, secondary injuries often affect the victim far more than the initial Taser impact. On 7 March 2011, my client Richard Hagan, a bricklayer who was 26 at the time, had been at the Printhouse Pub in Prescot, watching a Liverpool game and having a few drinks. Shortly after midnight he headed home with his partner and her father. They came upon a group of people arguing in the street. A police car, driven and solely occupied by PC Warren of Merseyside Police, pulled up. The officer told the group, including Mr.Hagan who happened to be nearby, to get on the pavement. As the police car drove away someone shouted abuse at it. The car stopped and reversed. PC Warren got out and told Mr. Hagan to ‘come here’. Instead, Mr. Hagan panicked and ran away. The police officer chased him through a residential area. As Mr. Hagan ran towards a main road, PC Warren fired a Taser ‘stun gun’ into his shoulder and buttock. Mr. Hagan was paralysed by the electric shock and fell forwards onto the road surface. He sustained serious injuries, smashing his front four teeth, lower right incisor, and other facial injuries. After the assault, which was seen by his distraught partner, Mr. Hagan was arrested, handcuffed and taken to Kirkby Police Station where he was kept in a police cell overnight. As a result of the assault Mr. Hagan lost the four front teeth and had to have a bridge and crown fitted. He will need more dental work in the future. Merseyside Police denied liability and claimed that the force used was reasonable and proportionate. I disagreed. Following court proceedings, I settled Mr. Hagan’s Taser assault by the police claim for £24,000 plus legal costs. Public and media concern with the use of Tasers tends to focus on the 50,000 (or 1,200 if the police are to be believed) volts shot through the victim’s body and the potential cardiac issues that arise, but in my opinion the bigger risk is from secondary injuries. As Richard Hagan’s case demonstrates, there is a significant danger of head and facial injuries when they hit the ground. These secondary injuries can be far worse than the initial electric shock from the Taser. But the police officers who defend the use of Tasers seem to be trying to deflect the public’s attention from this. They talk about training, how careful they are in the use of Tasers, and try to minimise the impact of Taser assaults. They refer to government statistics, which do not deal with secondary injuries, to back up their case. But by doing so those officers, and the government officials who create the statistics on Taser use, are missing the point. Even if the training in the UK is “the best in the world”, and the total number of Taser impacts is significantly less than the overall use figure, the weapons are still being used against civilians, including children, with potentially life-changing consequences. And even if the amount of volts shot through a victim’s body is less than the amount used in Christmas tree lights, it is still enough to cause temporary paralysis and serious secondary injuries. It is time that the police and government are asked about the effects of secondary injuries as well. Maybe then they will accept that the impact of a Taser assault by the police is more serious than they suggest and moderate the use of these weapons accordingly. If you have been injured after a taser assault by the police contact me using the form below, on 0151 933 525, or via my firm’s website. Image credit: Marcelo Freixo on flickr. Can the Police be trusted to Police themselves? A man was forced to pursue numerous appeals to ensure that his police complaint was upheld. At first blush, this would appear to be entirely unrelated to the Andrew Mitchell story, which I have previously written about. whether police can be trusted to police themselves. In December 2009 PCs Simon Jones and Joanne Kelly, were on patrol in Liverpool with a Sergeant (who has since been dismissed for an unrelated matter), when they arrested Kyle McArdle for urinating in a street. The Taser barbs, metal hooks which attach to the body to transmit the electric current, were removed by an officer rather than a medical professional, contrary to guidelines (unless there is an ‘operational necessity’). To add insult to injury, Mr McArdle was prosecuted for assaulting two of the officers. He was found not guilty at the Magistrates’ Court, and pursued a formal complaint. Mr McArdle’s initial complaint was made to Merseyside Police themselves. He argued that the use of Taser force in the back of the police van was disproportionate. The police accepted that their officers should receive guidance on the use of their powers only and rejected the rest of his complaint. So Mr McArdle was forced to appeal to the IPCC. They returned the complaint to the Force to consider whether the use of Tasers would have been considered proportionate if he had been lawfully arrested. Merseyside Police’s leading Taser instructor said that the Taser assault was ‘necessary, proportionate, reasonable and in line with the officers’ training and Association of Chief Police Officers guidance’. Given this opinion, the Force maintained their denial. Mr McArdle again appealed to the IPCC. They re-considered the case and decided that, contrary to Merseyside Police’s internal investigation, the officers involved should have been served with notices for gross misconduct and interviewed under caution. PCs Jones and Kelly were then subsequently dismissed following the misconduct hearing. UPDATE: I have since been informed that PCs Jones and Kelly appealed their dismissal to the Police Appeals Tribunal (“PAT”) and were re-instated to Merseyside Police following a hearing on 28 June 2014, in which their solicitor states that “the PAT unequivocally rejected the determination of the misconduct tribunal in the clearest possible terms”. Their reinstatement is confirmed in the IPCC’s updated press release which can be read on their website here. 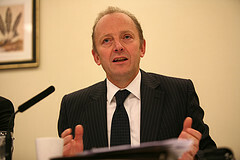 Aside from the officers’ dismissal and subsequent re-instatement, the IPCC Commissioner criticised Merseyside Police’s investigation of the incident. In particular, he said, ‘it is a concern that Merseyside’s lead Taser instructor lacked objectivity and presented as fact the officers’ version of events without challenge’. 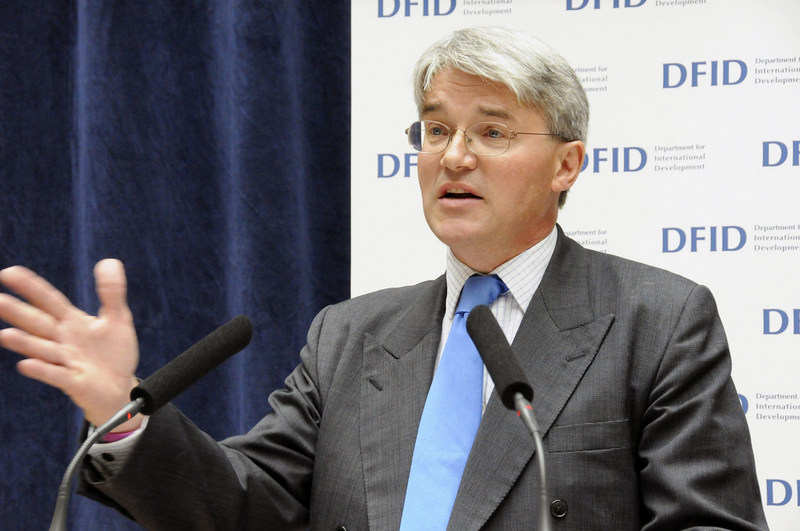 The Andrew Mitchell affair (which I have commented about on numerous occasions but most recently here) revealed that the four police officers and their associates initially involved in the saga fabricated evidence about the incident at Downing Street on 19 September 2012. At a subsequent meeting on 12 October involving three senior members of the police officer’s union, the Police Federation, Mr Mitchell sought to explain his comments and re-iterated that he had not used the word ‘pleb’, which is short for ‘plebeian’, or commoner. Immediately after the meeting, Inspector Mackaill, one of the officers at the meeting, told waiting journalists that Mr Mitchell had not provided an account of the incident and called for his resignation. Unfortunately for the officers at both the initial incident, which was caught on CCTV and can be seen here, and the subsequent meeting, which Mr Mitchell secretly recorded, the evidence showed that they had not told the truth. West Mercia Police carried out an internal investigation into claims the three officers had been trying to discredit Mr Mitchell. It concluded that there was no case to answer for misconduct or gross misconduct and found that there was no deliberate intention to lie to journalists. The IPCC, which oversaw the West Mercia investigation, said West Mercia Police had been wrong to conclude the three police officers had no case to answer for misconduct. Deborah Glass, the IPCC deputy chair, said in her statement that the false account of the meeting provided by the police officers involved ‘indicates an issue of honesty and integrity, not merely naïve or poor professional judgment (sic)’. She has called for a misconduct panel to be held to establish whether the three officers gave a false account in a deliberate attempt to discredit Mr Mitchell in pursuit of a wider agenda. Home Secretary Theresa May said the IPCC’s report “made troubling reading”. All other cases are dealt with internally, by the appropriate police force’s complaints department (also known as the professional standards department (‘PSD’). Up until May 2012, when the Police Reform and Social Responsibility Act (2011) came into force, all complainants had a right of appeal following local and supervised investigations by a PSD to the IPCC. Now that right of appeal to an independent body is restricted to only the most serious of cases, so that there is less opportunity to hold the police to account. In both the McArdle and Mitchell cases described above, serious issues meant that the IPCC were involved. The IPCC allowed the individual police forces to investigate and decide whether there was wrongdoing or not. Following internal investigations, the complaints investigators said that there had been no misconduct that required sanction. On appeal/review by the IPCC however, it was found that such findings were seriously flawed. So, can the Police be trusted to investigate themselves? Speaking on BBC Radio, Sir Hugh Orde, the Chairman of the Association of Chief Police Officers and a former Chief Constable, said that it is ‘critical’ that there now be a fully independent police investigation system. (You can listen to the interview by clicking here). I agree. The current system where the police investigate themselves is deeply flawed and, to restore public confidence in the police and the police complaints process, independent investigations in each and every case need to be conducted. But is it enough simply to point the finger at the IPCC, who would no doubt say that the Mitchell and McArdle cases described above did not fit within the criteria, so that they had no authority to conduct investigations from the beginning? Don’t the police have some responsibility too? It strikes me that blaming the investigations process merely deflects attention away from the core issue: trust. Public trust is damaged when we routinely hear about police misconduct at the rank and file level which is then covered up by their superiors or force complaints departments. It is made worse when, rather than apologise and accept responsibility, senior police officers and their representatives blame everyone but themselves. At today’s House of Commons Home Affairs Select Committee meeting, the Chief Constables of West Mercia, West Midlands, and Warwickshire Police, will explain why they declined to pursue misconduct charges against the three officers involved in the October meeting. It is hoped that the meeting will be productive and not merely a repeat of the blame game played out in the media since September last year. For more information on pursuing a civil action against the police go to www.iaingould.co.uk. Contact me using the form below or via my firm’s website.